During my visit to Denmark in October 2018, I had a chance to visit Karup Airbase. And while visiting the airbase met with Major Knud Agis Larsen and his staff working the major challenge of shaping and working a connected force. They are a joint center and have evolved through the growth of Danish Air Force expeditionary operations and have worked the Link 16 joint force effort over time. I had a chance while visiting Skrydstrup to talk with the F-16 squadrons and to focus upon the path of modernization of their F-16s through the transition from being a garrison force to an expeditionary force. Meeeting with Major Knud Agis Larsen at Karup Airbase, October 2018. This transition has entailed many changes for the Royal Danish Air Force, including carrying new weapons and being linked into coalition partners as well as other Danish platforms through various evolving link capabilities, notably Link0-16. In a 2006 briefing by Michael Tarp Hansen, then the Link 16 Program Manager for the Royal Danish Air Force, the journey being undertaken by the Danes to become a linked force was outlined. In the 2006 briefing, the comprehensive and forward leaning approach of the Danes to become a Link-16 capable player was outlined. And in the briefing it was indicated that a Link 16 capacity is not driven by homeland defence requirements. In the 2006 briefing, the Joint Data Link Operations Centre was highlighted as a key element of building a Link 16 infrastructure, and to support training. 12 years later, the Centre has been involved in a key transformation of the Danish forces to become oriented towards what a connected force can do as opposed to what organic assets can do by themselves. They have added to the coalition habit of the Danes and link habit as well. And going forward in dealing with direct defense of Denmark and of the broader coaltion to defend Northern Europe, this link habit is a key part of the transformation of the Danish forces, notably as they bring online their F-35s. It will be challenge to sort through effective ways to leverage the F-35 within the national C2 system being put in place, but there is little question that comprehensive approaches and thinking about which systems and how to link them is a core capability which the Danes which to be able to leverage and deploy. Put in other words, links are a weapon. 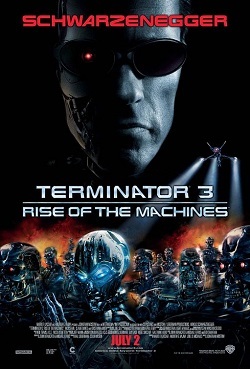 It is not just a question of what platforms can do organically it is about what packages of force inclusive of C2 can do in the direct defense threat environment. Thus, although Link 16 was born in the context of the Danes looking to expand their evolutionary capabilities, it is now migrating into the extended homeland defense environment. 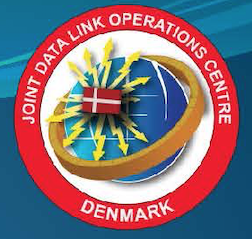 The Joint Data Link Operations Centre at Karup Airbase is “the Danish centre of excellence to provide the planning, design, coordination, management and execution of data link activities in support of national, NATO and coalition operations within the Danish FIR. FIR refers to Flight Information Region and is a geographical area defined by the civil aeronautics authorities, as the area, in which Danish Air Traffic Control has the authority. The JDLOC is the National Centre of Excellence within Tactical Data Link (TDL) operations. Responsible for tasking of all TDL activities to be conducted within the DNK FIR abd working with National, NATO, partners. Support all TDL platforms operating in our area. Responsible for coordinating of all national Link 16 activities outside DNK FIR Compile, convert and distribute AIR, Maritime and Land pictures to relevant HQ´s for their overall SA. Advise defence authorities on development of current and coming TDL systems. Coordiante the Cross Border Linkages with neighbouring countries. Designing all Link 16 Networks and distribute loadfiles to all platforms. Major Knud Agis Larsen underscored that the Centre does not produce data per se. “We design, establish and maintain the infrastructure necessary for exchanging of Tactical Data between C2 units and fighting platforms. The expeditionary operations as well as Danish reach into the Arctic and into Greenland provide a challenge of operating over distance, that a non-Dane might simply not included, within the challenges of linking and communication of the force or between the force and military and civilian authorities. Graphic from presentation by Major Knud Agis Larsen. But this means that the Danes have had to work non-line of sight capabilities for Link-16 which involves among other things ways to move Link 16 data over various other networks as well. And with the IP revolution, the Centre has found ways to send Link 16 data over various IP systems as well. But the coming of the F-35 and other new systems will challenge the legacy approach and the Centre will have much to do to work the new approaches to connectivity. The need to focus on infrastructure for the new defense force notably in the context of the return to direct defense is a key one. The concerns of Major Knud Agis Larsen resonated very much with what our colleague Air Vice Marhsal (Retired) Blackburn has underscored within the evolution of Australia defense evolution as well. Whilst some in Australia might only think about 5thGen as being the platforms such as the JSF, the implications for how we network, integrate and use the force are fundamental.